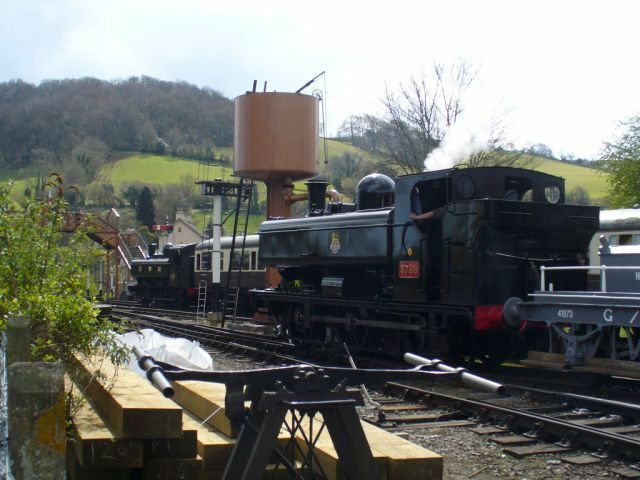 6430 at Buckfastleigh (note the Railway's Routemaster leaving with the . 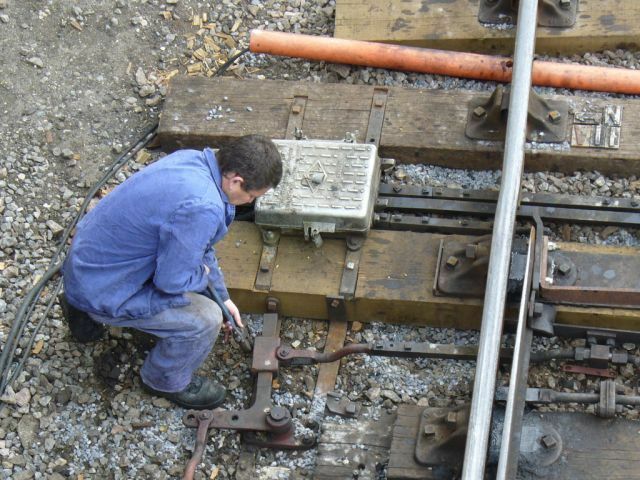 The crew of 6430 await the the "Right away"
S&T continue their maintenance on the railway. 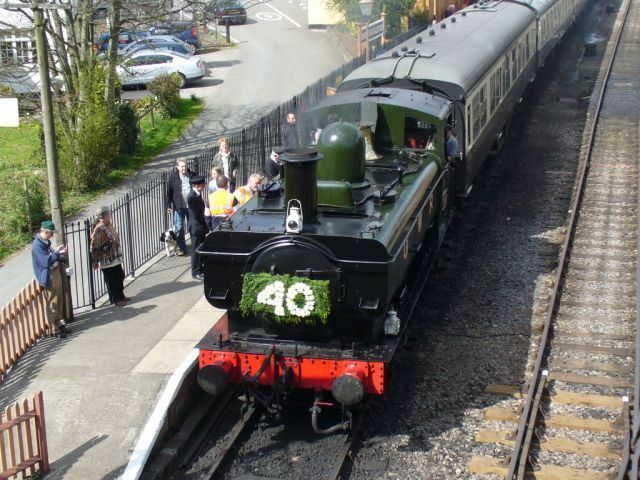 The South Devon Railway's 40th anniversary celebrations have gone off with a great success similar to our "Thomas" weekends with more than 6,500 passangers carried over the nine days. 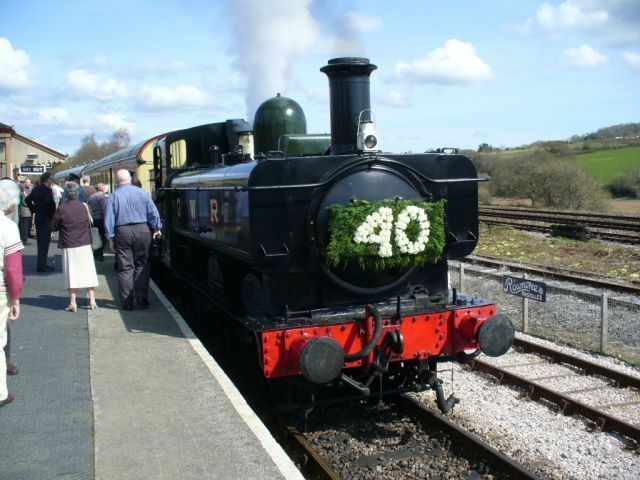 The celebrations have been a huge team effort by various volunteer staff so that the 160 locomotive turns were staffed by 41 crew. 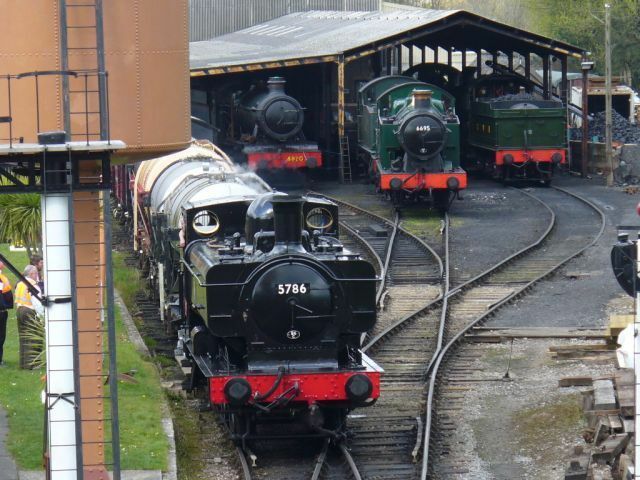 The shed at Buckfastleigh was the busiest it's ever been with crews working 7*24 to ensure engines were ready in time for their booked turn. The Guards and TTIs (Travelling Ticket Inspectors) have also had to report in shifts to cover the extended service with many early and late turns added to the normal timetable. 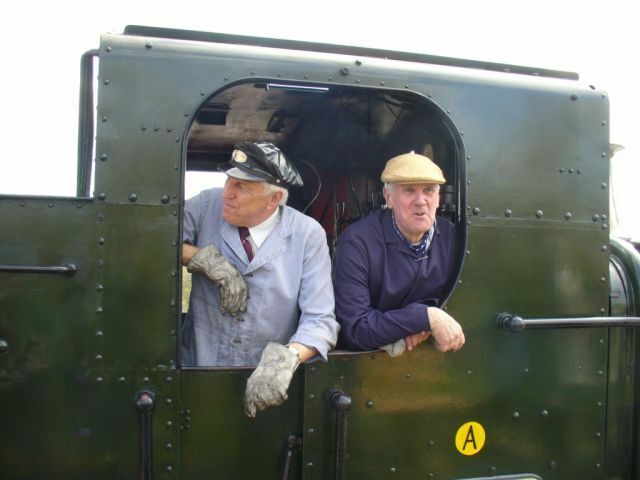 The Devon Diesel Society had yet another very successful Real Ale Event at Staverton. 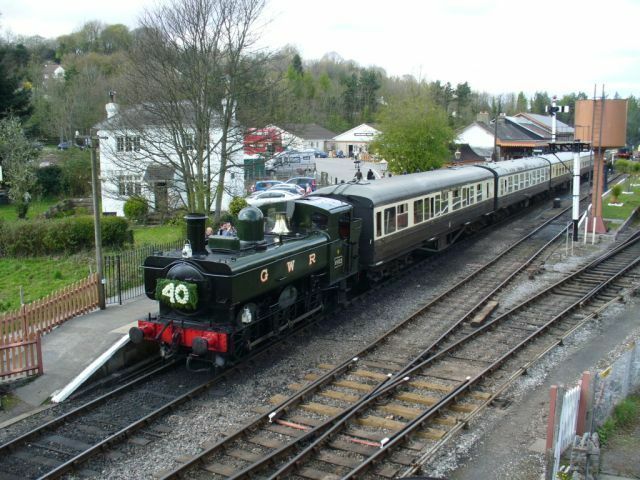 Our Refreshment Rooms at Buckfastleigh were filled to capacity over the weekend which was very pleasing following the extensive investment over the winter including new toilet facilities. 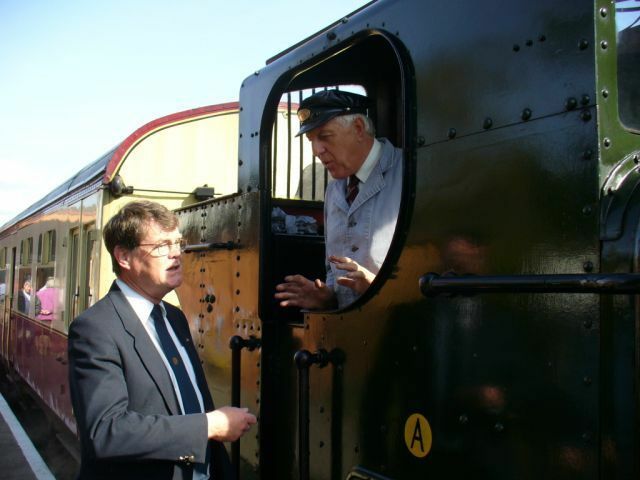 Above are a selection of images taken from around the Railway over the week by a long standing Railway volunteer.